In the summer, the ocotillo’s red blooms bring color to the landscape of the Chihuahuan Desert and Big Bend National Park. As Autumn moves in, the foliage of these plants turns golden as if to offer the Texas version of fall colors. 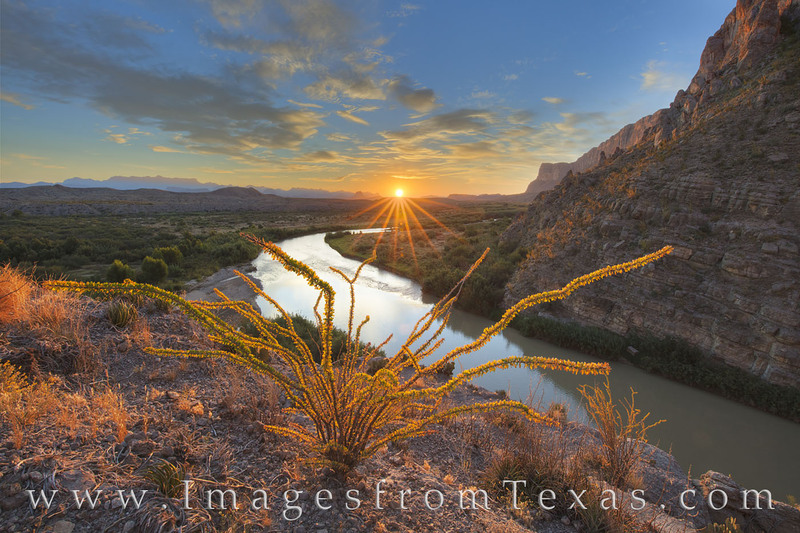 In this beautiful scene taken at sunrise from Santa Elena Canyon, the sun’s first light rises over the distant Chisos Mountains as the Rio Grande meanders west. Photo © copyright by Rob Greebon.